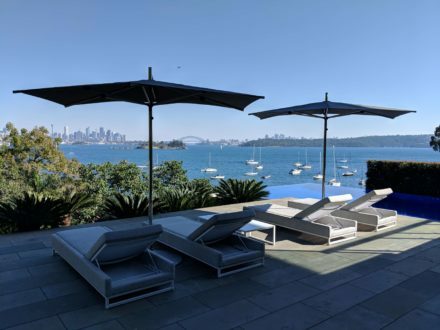 Australian Design Award recognition is testament to Finbrella’s progressive design. 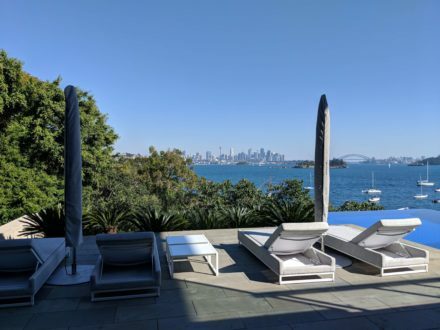 Functional and elegant applications for hotels, resorts, cafes, gardens, pools, and virtually any public, commercial or private outdoor spaces. The design is modern and one of Provocative geometry. 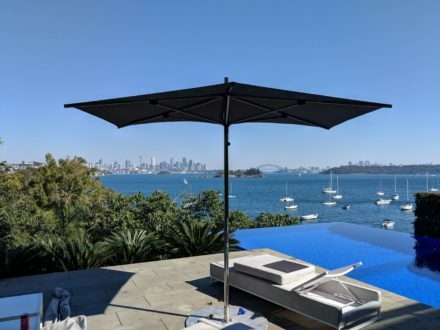 Discreet anchoring fixings and stainless steel finishes makes Finbrella a worth inclusion rather than a shade afterthought. F-330-S models on Movable Low Profile Camlock Bases. 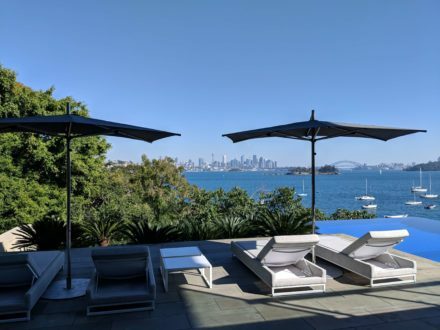 Movable umbrella shade solutions for a client in Vaucluse, Sydney.